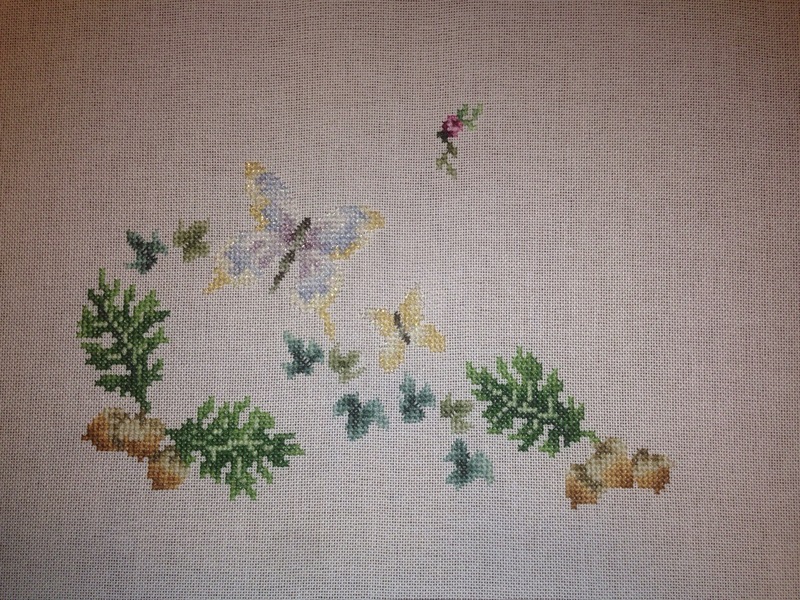 I stitched three more ivy leaves, an oak leaf, and another set of acorns. I have now worked halfway across the bottom of the piece. Everything else that I have to stitch is roughly a mirror image of what appears here.